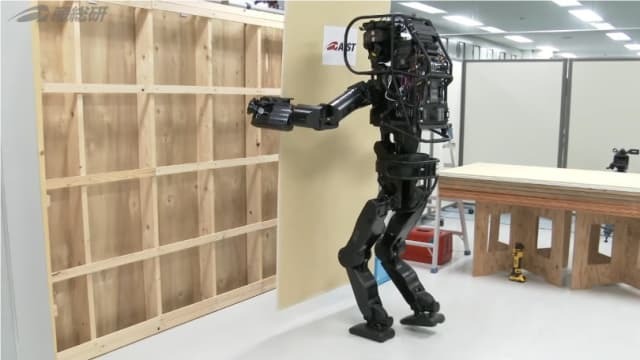 In 2018, the news was filled with stories of robots motoring around construction sites, doing everything from adding 3D-printed filaments to buildings to installing drywall. But it's difficult to know whether that's a flash in the pan, or a genuine new direction for the construction industry. To get more clarification on where the market is going, we spoke to an expert in heavy-duty mobile robotics. Ryan Braman is a Test Engineering Manager at TÜV Rheinland, an international testing and inspection agency. Braman is part of their commercial group, testing industrial machinery. As such, he’s on the front lines of a sea change in mobile robots. To correct that, the RIA is developing a new standard for industrial mobile robot safety—the R15-08—that’s slated to come out later this year. The organization is consulting with both robotics companies and testing groups like TUV Rhineland to figure out what needs to be covered by the new testing standards. RIA needs to strike a delicate balance between making rules too lax and too strict. “Best-case scenario is, we come up with standards that can easily be applied to the technology we see in the industry today, but also don’t limit future technology that we don’t know about,” Braman says. But he also includes a cautionary note to startups wanting to get into robotics: don’t neglect safety in pursuit of cool new toys. Braman isn’t convinced that the newer, smaller players will necessarily take the same safety precautions as the larger ones have.